Toronto is in the midst of a tall building boom. In fact, the tallest building currently under construction (One Bloor East) will be eclipsed by at least nine other super-towers over the next decade if developers get their way. Four buildings slated for development in Toronto over the next few years top off at beyond 300 metres, the benchmark for the term "super-tall" to come into effect. These are the 10 tallest buildings that will transform the Toronto skyline over the next decade. 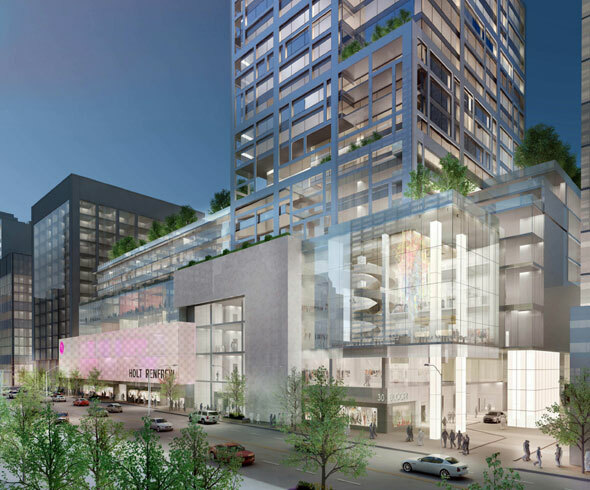 Part of a massive redevelopment proposal involving the Metro Toronto Convention Centre and a possible casino, the main stars of Oxford Place would be two duelling towers each at 326 metres. The City of Toronto has yet to approve the plans. And you thought One Bloor East was a monolith at 257 metres, its neighbour across the street is proposed to come in over 80 metres taller. 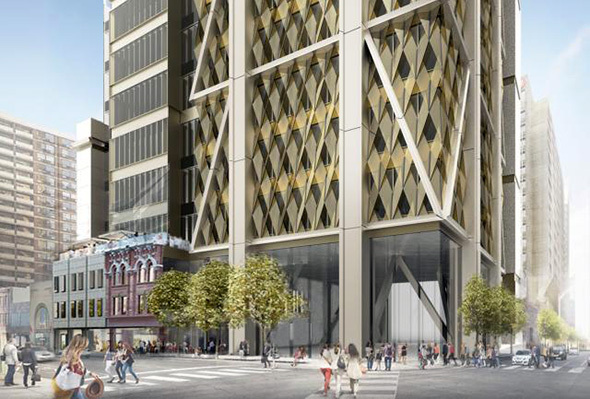 The One was originally pitched at 329.5 metres before new designs added even more skyward sprawl to the building. The taller of the two Mirvish+Gehry towers might just be the first building in Canada to break 300 metres if you don't include the antennae at First Canadian Place (it's 298 metres without it). The lead tower in another massive redevelopment scheme, this time on the land currently occupied by the Toronto Star Building at the foot of Yonge St, Pinnacle One Yonge comes in at just below the 300 benchmark. Set to be built atop the current site of Holt Renfrew, this monster condo will soar above Bloor St. and provide sweeping views of downtown Toronto (and a many of the other towers on this list). 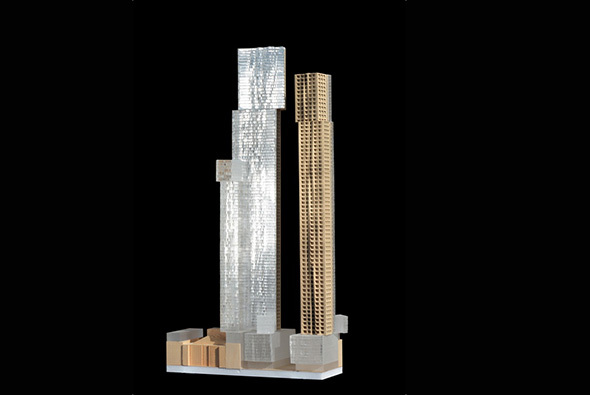 The smaller of the two Mirvish+Gehry towers is 30 metres shorter than its neighbour, but still taller than Toronto's tallest condo at present, beating out Aura by one metre. 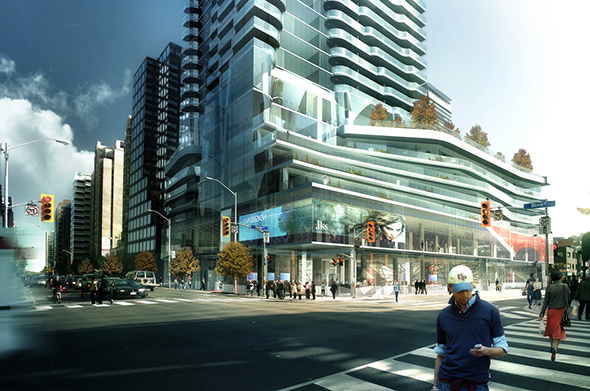 The One Yonge Street development is composed of a host of monster towers, of which this is one. If it existed now, it would be the fifth tallest building in Toronto. This one isn't a condo! 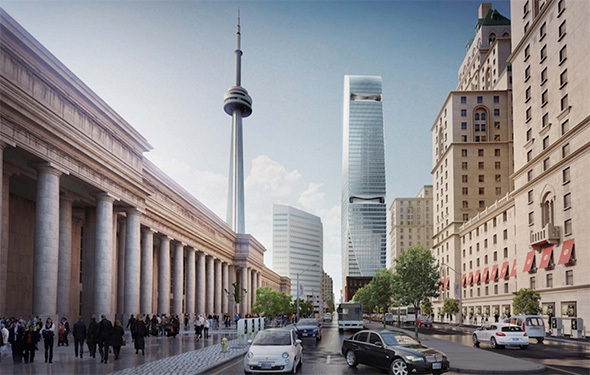 156/160 Front will be the tallest new office tower in Toronto, coming in just a few metres higher than Brookfield Place, which was built in 1990 and registers at 261 metres. The latter was the tallest building constructed in the 1990s in Toronto. Onward and upward, so they say. Not much to say here. 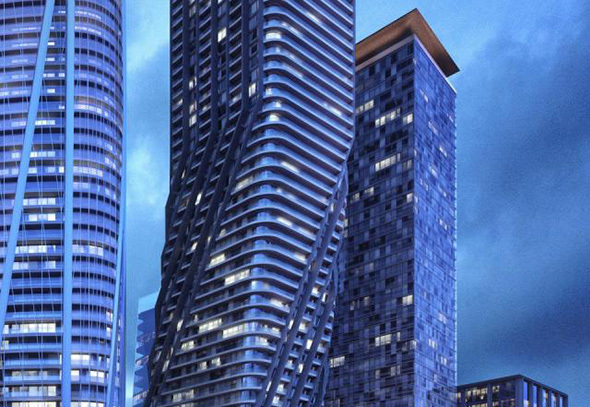 This is the third tallest building proposed in this complex at the foot of Yonge St. It's still huge even if its closest neighbours edge it out in height. One Bloor is the tallest building currently under construction in Toronto, though that's only good for 10th spot on this list. Next time you're out and about in the area, take a peek at it for some context as to how tall these other towers are going to be. Is all this density a good thing? Let us know in the comments.